Aligned to the Project Management Institute (PMI)® outline for the CAPM® Certification Exam. The CAPM is an entry-level certification for project practitioners. This certification is intended for those with less project experience but to establish understanding of the fundamental knowledge, terminology and processes of effective project management. PMBOK is considered one of the most significant tool in the project management profession. This Online Training Course on Certified Associate in Project Management (CAPM)® Certification is based on the Project Management Institute, A Guide to the Project Management Body of Knowledge, (PMBOK® Guide) - Sixth Edition, Project Management Institute, Inc., covering all the knowledge areas and the process groups along with examination tips and tricks, designed and delivered by a leading project management trainer and professional with over 17 years experience. Project management is a rapidly growing profession. Through 2020, as per PMI, 1.57 million new jobs will be created each year and qualified practitioners are in demand. With the CAPM®, you'll be on the fast track to opportunity. CAPM and PMBOK are the registered marks of the Project Management Institute, Inc. The Certified Associate in Project Management (CAPM) ® course gives novices a synopsis of core project management values and knowledge of the five process groups and ten knowledge areas prescribed by the Project Management Institute (PMI). Project management is expected to generate 1.57 million new jobs by 2020. This CAPM training conducted by ApnaCourse.com will add value and help you to scale yourself higher in the job market. The CAPM is an entry-level certification for project practitioners. This certification is intended for those with less project experience but to establish understanding of the fundamental knowledge, terminology and processes of effective project management. PMBOK is considered one of the most significant tool in the project management profession today. The PMI offers two levels of project management certification, Certified Associate in Project Management (CAPM)® and Project Management Professional (PMP)®. Learn the 10 project management knowledge areas, including integration, scope, schedule, cost, quality, resources, communications, risk, procurement and stakeholder management. Whether you're new to project management, changing careers, or already serving as a subject matter expert on project teams, the CAPM® can get your career on the right path or take it to the next level. If you are a project manager with less than 2 years’ experience, looking to demonstrate your commitment to project management, improve your ability to manage larger projects and earn additional responsibility, & stand out to potential employers, the CAPM® certification is right for you. The CAPM® certification offers recognition to practitioners who are starting their career in project management as well as project team members who wish to demonstrate their project management knowledge. This certification denotes that the individual possesses knowledge in the principles and terminology of A Guide to Project Management Body of Knowledge (PMBOK Guide), the standard of project managements generally recognized good practices. Irrespective of your career stage, the Certified Associate in Project Management (CAPM)® is a strength that will discriminate you in the job market and augment your trustworthiness and effectiveness working on or with project teams. If you would like to accomplish larger projects and gain more accountability or improve project management skills into your existing role, then the Certified Associate in Project Management (CAPM) is the certification for you. PMI's Certified Associate in Project Management (CAPM)® certification provides you with a globally recognised project management credential. Your CAPM® certification will automatically indicate to prospective employers that you are well versed in global project management processes and terminology. The CAPM® certification is valid across industries and is recognized worldwide. This certification will validate your fundamental knowledge of project management and its processes. Experience hours must be as part of project group(s) that are non-overlapping and must be documented by project and summarized by process group to be counted on the PMI CAPM application. You will need to show 23 contact hours of project management education, preferably covering initiating, planning, executing, monitoring and controlling, and closing. 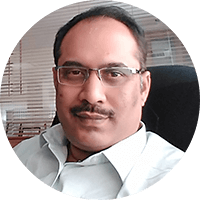 A PMP, CBAP ,PMI-PBA and ISTQB - CTFL Certified Professional with over 17 years of experience in the BFSI Sector and having worked in leading organizations. Has end to end experience in Financial Transactions Processing, Software Testing, Business Analysis, Requirements Management, Application Integration, Operations, Project Management, Data Migration and IT Change Management.